Dr Yael Fiebelkorn has been a Medical Practitioner since 2003. She is a locally trained Anaesthetist who has worked in all of Perth’s major tertiary hospitals and has been practicing anaesthesia since 2010. She became a fellow of the Australian and New Zealand College of Anaesthetists (ANZCA) in 2017. Prior to this, Dr Fiebelkorn spent 3 years in rural NSW focusing on emergency medicine before she moved back to Perth in 2005 where she continued working in emergency medicine until 2010. 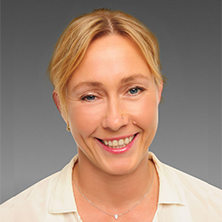 Dr Fiebelkorn has training and experience in anaesthesia for a broad range of surgeries with special interests in Obstetrics and Gynaecology, Orthopaedics, Ears Nose and Throat (ENT), General Surgery, Plastic, Urology, Paediatric and Regional Anaesthesia. Given her previous training, she also has a special interest in acute care medicine. Dr Fiebelkorn is accredited at the majority of Perth’s private hospitals as well as the regional hopsitals in Bunbury and Geraldton.